The Chinese fishing vessel sank after collision with Capesize bulk carrier Anangel Courage in East China Sea on 35 nautical miles off Uotsori island, Japan. The cargo ship was proceeding in southern course from Nantong, China to Hedland, Australia, but near the Senkaku Islands archipelago in early morning hours collided with small fishing vessel. After the collision the fishing ship capsized and sank, throwing all the people overboard. The duty officer of Capesize bulk carrier Anangel Courage raised alarm and immediately reported to Japanese coast guard about the accident. At the scene of collision were dispatched rescue boats and plane, which found six from the fishermen. However, another eight people are considered missing. The search and rescue operations continue, engaging nearby fishing and merchant vessels. The Greek Capesize bulk carrier Anangel Courage did not suffered damages and none of the crew members suffered injuries. The vessel was detained until further investigation for root cause and responsible for the accident. 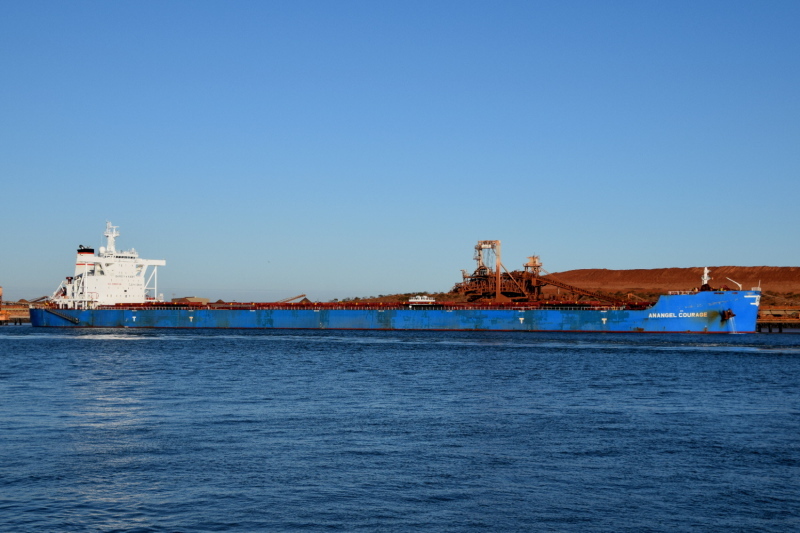 The Capesize bulk carrier Anangel Courage (IMO: 9593218) has overall length of 300.00 m, moulded beam of 50.00 m and maximum draft of 10.50 m. The deadweight of the vessel is 205,888 DWT and gross tonnage is 106,727 GRT. The ship was built in 2013 by Waigaoqiao Shipbuilding in China. The bulk carrier Anangel Courage is owned and operated by the Greek company Anangel Maritime Services.